Contrary to popular belief, the Minnesota Twins did not create The Opener as a way to make Bert Blyleven and Jack Morris’s heads explode on the air. No, this unconventional approach was devised for one simple reason: to get 27 outs. More specifically, it was devised to get 27 outs while avoiding all those pesky runs that can happen between recorded outs. Statistically speaking, starting pitchers deteriorate over the course of a game. Perhaps due to familiarity or simply having their stuff wear down in the later innings, the advantage swings drastically to the hitter his third time facing a pitcher. From 2013 to 2017, the first time facing a pitcher, hitters posted a .249/.310/.396 (.706 OPS) batting line. That means every hitter the first time through is like Oakland’s Marcus Siemen, who posted a .706 OPS in 2018. By the third time facing a pitcher, however, hitters posted a .271/.333/.443 (.776 OPS), which means now everyone is Houston’s All-Star George Springer. Teams can combat that by swapping out the starter for a reliever, thus avoiding the dreaded third time through. After all, batters have hit .243/.317/.384 (.700 OPS) against relievers the first time facing them (hello, Cincinnati’s Tucker Barnhart). Using the opener also has the secondary purpose of protecting the primary pitcher — the pitcher who follows the opener — from a lineup’s top of the order, where most of the best hitters reside. With an opener in place, if a team does opt to allow the primary pitcher to go through a third time, chances are they're avoiding the top and middle parts of the order in that go round. In short, The Opener strategy: (1) limits a starter’s exposure to a third time through the order, (2) protects them against facing the team’s better hitters more than once, and (3) allows a manager to align a relief pitcher whose strengths better neutralize a lineup's top three hitters. “Can’t deny the logic,” Twins director of player personnel Mike Radcliff says regarding the strategy. Baseball is a boat race to 27 outs and, on paper, the opener concept could yield favorable results. While the Tampa Bay Rays were first to deploy the strategy, the Twins say they weren’t copycats. In fact, the discussion dates back to last offseason in Fort Myers. And it is likely no coincidence that one key figure in this discussion used to be employed by the Rays. Josh Kalk’s reputation for maximizing pitching results looms large within the game. In the early PitchF/X era, Kalk was a renowned data wizard, dissecting arms, arsenals and strategies, then posting his findings publicly at The Hardball Times. The forward-thinking, budget-ballin’ Rays scooped him up. Kalk’s work has become so highly respected that reportedly 10 teams were vying for his services last winter when he left the Rays organization. The Twins were geeked when they landed him. It was at those org meetings at the Fort Myers facilities — one dubbed the pitching summit — where the discussion of using a pitcher as a one-inning opener first began, according to Radcliff. At the core of the meetings, per Falvey, was answering the question: How do we get our young pitchers better. Among contributors in the room were guys like Kalk sitting next to former players like LaTroy Hawkins and Bob McClure, new major-league pitching coach Garvin Alston, and minor-league pitching guys like Pete Maki and JP Martinez. Different eras and different viewpoints were represented. The idea of the opener concept was floated, discussed, debated, argued and vetted. It seemed almost too simple — you protect your young pitchers by limiting their exposure as well as controlling the inning allotment. Minimize the risk and maximize the reward. Not all of the ideas shared were unanimously embraced and the use of the opener strategy was one. In general, the difference of opinions during the summit did not faze Falvey. In reflecting on it, he viewed what transpired as healthy. Ultimately the parties walked out of the room with an organizational pitching development strategy going forward, and the idea of the opener was back-pocketed. It wouldn’t take long to see the strategy in action. On May 19th the Rays started closer Sergio Romo, allowing him to get the first three outs in front of their primary pitcher, Ryan Yarbrough. Tampa would use the strategy a total of 55 times in 2018. The results were decent enough for the Rays and their young pitchers — especially Yarbrough. Tampa would win 90 games and the 26-year-old rookie would finish the year 16-6, throwing over 140 innings despite making just six traditional starts. In either capacity — starting or primarying — Yarbrough faced the same hitter thrice on a given day just 83 times, one of the lowest totals of anyone who amassed 100 innings in 2018. The Twins watched from afar as the Rays paired their young pitchers with one-inning openers. Unlike the Rays, the Twins were giving starts to veteran pitchers, such as Lance Lynn, Jake Odorizzi, Kyle Gibson, Jose Berrios and a little Phil Hughes while waiting for Ervin Santana to heal. But injuries and ineffectiveness exposed cracks in that facade. Want to read the rest of this story, and 70 pages of in-depth analysis of the offseason that’s about to get underway? Claim your copy of the 2019 Offseason Handbook, at a price of your choosing, and you’ll receive it right away. I'm amazed that a different sequence will make people resistant. I understand the concept. Why stop at 1 inning. How about have the first pitcher throw 3 innings. The considerations would be: Availability of people who can throw more than 1 inning. Length of time needed for the “starter” to get ready. What I would like to see is data on the optimal use of a pitching staff. Factors would include throwing 20 pitches and being available the next day vs throwing 50 pitches and not being available for 3 days. Why not use the “throw” day of a starter to pitch 2 innings. Boston used this strategy in the playoffs with a lot of success. Not sure it can be sustained over the entire season. That’s going to be the argument and I admit I don’t know the answer. If a starter can go 7 innings does he have to? Why can’t he throw 3 or 4 instead. If a reliever can go 1 inning why can’t he go 2? How much rest is required in all scenarios? Is it the same for all pitchers? I doubt it? I think the combination possibilities are multiple. The opener concept is simple and it makes perfect sense. But in reality... what Tampa really did starting in May was show everybody that they can consider every other possibility and you don’t have to die with the conventional 5 man rotation if you don’t have 5 decent men. "A horse apiece"..."6 of one, half-dozen of the other".I totally understand the information on facing a hitter a 3rd time.I still don't see the difference between letting a starter face the order twice and then taking him out vs. using an "opener".Your best pitchers are typically your starters.Most relievers are failed starters (even Josh Hader is a failed starter! ).I guess my simple brain would rather see our best starters "open" the game and face the best part of a team's order than a middling reliever like Gabriel Moya. I still don't see the difference between letting a starter face the order twice and then taking him out vs. using an "opener". I swear if you download the ebook, I address this. I've said before that I think the Opener strategy addresses a real problem. But you need a stronger bullpen than the 2018 Twins had, for the strategy to make very much sense to me. The point isn't to have the top of the opponent's batting order clobber a mediocre guy to begin the game. The sequence matters when you score score a boat-load of runs early and have a 8 run lead in the 5th inning.In that case, you've burned through an arm that you didn't need to burn through. 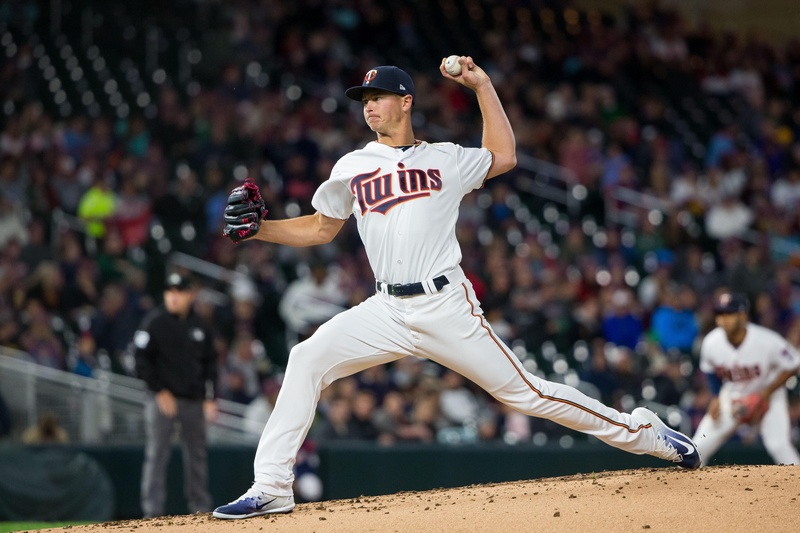 The data will tell the tail on whether/how much this is effective, and at what cost in terms of how rosters are managed and what that may impact (e.g., bench offense).We don't have that data yet.But it looks like we're going to get it.I have no problem with the Twins trying it with their marginal starters. I have a hunch that Rob Manfred is not thrilled with this strategy. Personally I like it but I am curious if wider usage throughout the league would eventually lead to a shift in pitching contracts.Would starting pitchers get premium contracts if they were implemented in this strategy? Would any players/agents flat out reject this strategy?For example, an agent hesitates to negotiate his players with the Twins because they might want to use them as a primary pitcher and possibly affect their long term earning power. Would relievers expect more money if they are going to sign with a team that uses this strategy since it is likely they will see more innings? It does seem that a team needs to build around this strategy if they want to use it, it would be interesting what affect that would have on the landscape if more than just a couple teams were doing it. This was also discussed in the full story -- with quotes from Mike Radcliff on the subject. Go ahead. Download it here. It's free! I am still not a true believer in the strategy UNLESS it's used to help ease in a rookie pitcher. It looked like the strategy helped Kohl Stewart become comfortable under the big lights. There are a lot of questions that haven't been answered with this strategy... When do you graduate a pitcher from primary to a traditional SP? Are they just a primary pitcher forever? At that point, you can let your "starter" stay out another inning or two. I offered a scenario a few days ago: if such pitcher is doing well in a game, and if the score is favorable to allow some slack, let him pitch to the top of the lineup a third time. When the manager has gained confidence, the training wheels can come off, and the pitcher is now a major league starter. I think this is a sound strategy for every rookie starter, regardless of how highly touted. And you wouldn't have had to use the opener. And you could have let the 'starter's' pitch count dictate how many additional pitchers would need to be used. Bottom line, you are committing to a second pitcher before you have the information that is available to you in the 5th/6th inning (or the 4th for that matter). It will ultimately result in more pitchers getting used, and further stretch the concepts of what can be done with a 25-man roster.Maybe it won't be material. Maybe it will. Managers will always want the back end protection and the protection for tomorrow's game. Like many things that end up being smart, it's might not necessarily make for a better game.I fear this will be the case with anything that results in more pitchers on rosters. The jury is out...but it definitely looks like we're going to find out, which is fine with me, I can't predict exactly how this will play out. I have to admit....when pondering the possible problems with this strategy, "an 8 run lead in the 5th" had not crossed my mind. Even once. The sequencing is why any strategy has limited impact on actual wins. I still feel that confronting the best batters in your opponent's lineup, which generally means the top of the order, with the arms most likely to get them out the most often, will pay off more often than it hurts you. The Opener strategy is aimed toward doing that IMO. honest question, do you do this in the majors only, or also in the minors? Agree on what the strategy is trying to do. But if the impact is only "limited" (sequencing)...it makes it all the more likely (or risky) that unintended consequences, or poor management of the strategy, will eliminate the benefit. Full transparency...I hope it fails.Or at least I hope it isn't hugely successful.It's far from stupid...I'm not saying that at all.But frankly, this is an unfortunate time, IMO, for more innovation that make it even harder to put a ball in play, easier to strike out, harder to score runs, more likely to see a greater number of pitchers in a game.Looking for some innovation that does the opposite, right now. But frankly, this is an unfortunate time, IMO, for more innovation that make it even harder to put a ball in play, easier to strike out, harder to score runs, more likely to see a greater number of pitchers in a game. That's fair, and I think the solution to that is not by hating strategy but by MLB changing the nature of the game in small ways. I want a 10% less juiced ball, which would reduce the reward for swinging from the heels no matter the count. The mound is low but could be lowered still. I could go for a slightly smaller strike zone. None of these changes would destroy the integrity of the game or our relationship to the history of the game, but could lead to a more entertaining game going forward, if you want baserunners and action instead of strikeouts and walks. If the intent is to get a pitcher to not have to pitch to batters 3x a game, that also means that your starter/primary pitcher is going to pitch less innings. If this concept becomes accepted throughout the league, it seems to me that it will eventually change pitching as we know it.The eventual result to me is pitchers pitching once through the order, ie, 2-3 innings.So the team would need 3 pitchers for every game with pitchers pitching every third day/game.They could then have another 3-4 relievers who would be 1-2 inning guys to come in if one of the three gets into trouble. So the #1 pitchers in the league would pitch in about a third of the games (54) for 3 innings max (162 innings).PItchers would have to train their arms different.Each team would also need 9 primary pitchers versus the current 5 starters. If that first time thru the order is so much better, this seems like where they will end up.And won't all those 1-0 games be exciting?Only problem is what happens with double headers and extra innings?Every team will need a couple Chris Giminez type players. I think the intent is to get the same (or even more) IP from the same guy. But he starts his third time through the order with the opponent's 4th or 5th hitter, instead of starting from the top of the order. Depends on the pitcher and why this strategy is being considered. If he's got a track record of getting in trouble when facing the top of the lineup the third time, then sparing him those first few batters might let you get an extra inning out of him, compared to what you've been getting until now, not less. / edit - I failed to notice there was a new page and Chief had already made the point sufficiently. My bad. That is true, if the intent is to miss the first 3-4 hitters.But the numbers game, ie, averages first time thru the order include all 9 hitters.Expect the opener theory deals with the first 3-4 hitter issue.But if they begin looking at first time thru the order versus second, third, don't be surprised if we begin seeing them stack 3 pitchers in a game with one time thru the order for each....plus a closer for the 9th. Agree with Vanimal and Ash in regard to being a very effective tool for young/rookie pitchers in particular. Especially after watching its use with Stewart and Gonsalves this year. However, not being stubborn, but I'm still not sure I entirely see the full benefit. I'd a good one arm is used in the first, it certainly doesn't guarantee success as that pen arm is still, theoretically, seeing the best 3-4 hitters the opponent has. And if said reliever came in to the game in the 6th inning, for instance, he could also face those same hitters, and still for his first time. Maybe I just cant totally wrap my head around the concept yet. In the AL, the bats you really have to worry about should be 3-5 in the lineup. Assuming even a good game for the pitcher has a couple of hits go by, the pitcher is facing the meat and potatoes of the opposing lineup almost exactly in the "opener" scenario in his third inning. The NL is different and the best hitters move up a slot (2-4), but pitching has to be managed differently in the NL and an opener is a hard sell there too. "Sequencing" is a bad concept for baseball, and the opener concept is just another "perfect world" sequencing scenario. Assuming a no hitter/perfect game, what's the optimal way to get your pitcher through the opposing team's lineup? That's what the opener concept is all about, and it's nonsense. In an actual perfect game, you want your starter in there from the first out. Why not use real data? E.g., this pitcher allows 5 hits on average through the first three innings. Should *this* pitcher start the game or come in later? When? From the baseball business standpoint, the opener concept will boost the W stat for most decent pitchers. This will increase trade value, with the counterpoint being it will also make the pitchers more expensive to retain. Why not use real data? How about this for real data: more runs are scored in the first inning than in any other. Why not apply one of your good bullpen arms to try to address that, and then let the long-haul pitcher settle in for the innings which follow? If all goes well, bring in another good arm when the going gets tough again late in the game. And if things don't go perfectly, that's baseball. The manager still has to manage. But you can try to put your players in a position to succeed.